Notary services are available free of charge for currently enrolled Sam Houston State University students, as well as the faculty and staff. Services are available at our office in the Lowman Student Center, Room 330, from 9:00 am to 4:00 pm on regular business days. We recommend you call ahead to confirm the notary will be in the office during the time you would like to come in. Other notaries can be found in other offices on campus if our notary is not available. Appointments are recommended if you have time-sensitive documents, documents requiring multiple notarizations and documents requiring additional witnesses. To set up an appointment, you can come by our office in the LSC, call us at 936-294-1717, or make an appointment online here. 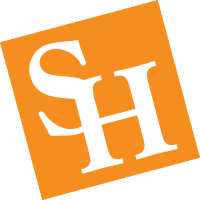 The office and notary are bound by both Sam Houston State University and State of Texas policies. The Texas Secretary of State website includes a Frequently Asked Questions for Notaries Public page, as well as links to the codes and laws that Texas notaries publics are governed by. For some documents, you may have to meet with an attorney before we can notarize the document for you. Our attorneys are bound by professional rules of ethics, and are not able to help every student in every situation. If we cannot assist you, we'll provide referral information to help you get to someone who can. Be sure to bring a form of unexpired photo identification such as a U.S. driver's license, State-issued identification, valid passport, or U.S. military identification card with the required photo, personal description, signature and identification number. Do not sign the document before you meet with the notary. Please note that he notary is not responsible for the legality or accuracy of the document's content and cannot provide legal advice.